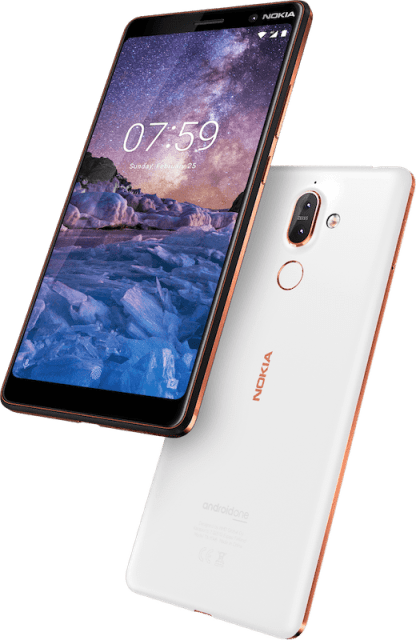 HMD Global unveiled its latest Nokia 6 (2018), Nokia 7 Plus and Nokia 8 Sirocco smartphones for the Indian market at price tags of Rs. 16,999, Rs. 25,999 and Rs. 49,999 respectively today. While the Nokia 6 (2018) is an updated version of Nokia 6 launched last year by the company, Nokia 7 Plus is its first device to feature an 18:9 display. 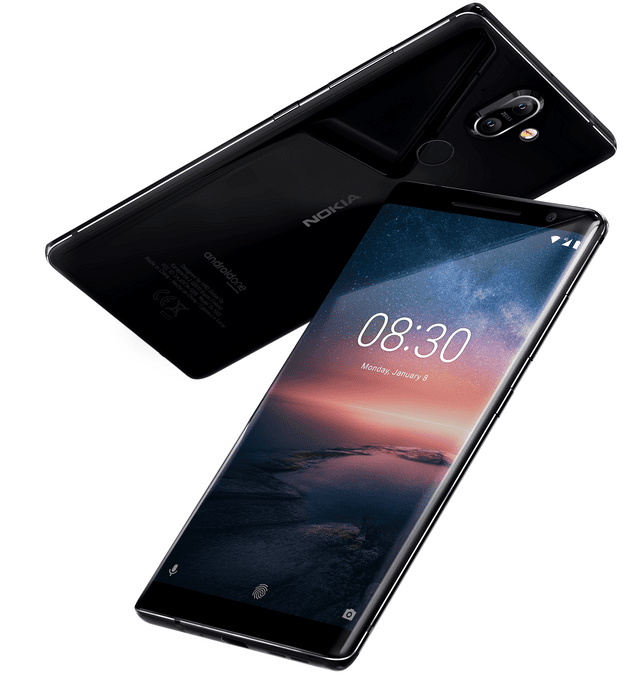 Nokia 8 Sirocco features as company’s flagship model with premium curved glass design, and dual rear Zeiss cameras for its USPs. Coming to the specifications, not much is changed with Nokia 6 (2018), the design, the display (16:9 aspect ratio) remain the same as previous years’ Nokia 6. Imaging features also are of the same configuration- 16-megapixel camera sensor with PDAF, f/2.0 aperture lens accompanied by a dual-tone LED flash and Zeiss optics at the back and an 8-megapixel, f/2.0 84-degree wide-angle lens shooter on the front for selfies. The new addition to imaging however is the 'Bothie mode' which allows the users to use both the rear and front camera simultaneously to create a bothie. There is up gradation of the chipset to a Qualcomm Snapdragon 630 SoC with two variants. One packing 32 GB internal storage along with 3 GB RAM and a second variant with 64 GB internal storage paired with 4 GB of RAM. Nokia 7 Plus comes with a 6-inch full-HD+ (1080 x 2160 pixels) IPS display with an 18:9 aspect ratio, and Corning Gorilla Glass. There is provision for 64 GB of internal storage further expandable to up to 256 GB capacity via microSD card. The dual SIM device runs on Android 8.0 Oreo featuring 4 GB of RAM and powered by an octa-core Qualcomm Snapdragon 660 SoC. For photography, the smartphone sports dual rear camera comprising of a 12-megapixel wide-angle primary camera with an f/1.75 aperture, and a 13-megapixel telephoto camera with an f/2.6 aperture,(2x optical zoom). The setup is coupled with a dual-tone LED flash and Zeiss optics. On the front, it features a 16-megapixel fixed focus camera with an f/2.0 aperture. There is also a rear finger-print sensor with 3800 mAh battery support. Company’s flagship Nokia 8 Sirocco sports an 5.5-inch QHD (1440 x 2560 pixels) pOLED display with 3D Corning Gorilla Glass 5. The device is powered by a robust octa-core Qualcomm Snapdragon 835 SoC coupled with 6GB of RAM and 128 GB of internal storage. It further features a 12 MP camera sensor with a f/1.7 aperture and a 13 MP camera sensor with a telephoto lens and f/2.6 aperture on the rear. The dual camera setup comes accompanied with a dual tone flash. On the front is a 5 MP sensor with fixed focus lens, f/2.0 aperture, for selfies. The device is fired up by an 3,260 mAh battery power also featuring a Quick Charge support. After the launch of these devices earlier today, Nokia 6 (2018) is likely to retail from April 6. For Nokia 7 Plus and the Nokia 8 Sirocco pre-booking starts from 20 April while the sales commence from April 30th.